A GPA below 3.0 is generally considered “low.” A low GPA is not a job-killer, but it is something that you should be prepared to explain. The importance of phone and Skype interviews has skyrocketed in recent years. Most companies like to verify that a candidate is worth their time before bringing them to the office for an in-person interview. Phone and Skype interviews are popular with entry-level job candidates because many of them are still in school or currently employed—making it difficult to slip away for an interview. Amy Levin-Epstein spoke with professionals and compiled a list of tips on how to ace both the phone and Skype interview. Here are a few of the tips I found most important. Avoid technical difficulties. Triple check your Internet connection before your interview begins. Make sure that your speakers and microphone work. Call a friend on Skype and do a sound check. Know proper web cam etiquette. Look at the camera and not the screen so that you are making eye contact. Sit up straight and don’t sit too close to the camera. Use the camera to check out what you look like on screen before the call so you see how they’ll view you. Stand up and smile. According to career trainer Frankie Picasso, “When you stand up, there is more energy in your voice and the physical act of smiling makes you instantly sound friendlier and relaxed.” Personally, I like to pace slowly when I talk on the phone and I feel it gives me a more natural and confident tone of voice. Don’t drive & interview. The best thing about a phone interview is that you can have your notes out in front of you. Take advantage of that! Also, you should be fully focused on the task at hand. Go hands-free. Use a headset so that you are free to take notes or gesture as normally would. This will help you sound more comfortable and natural when on the phone. Get rid of distractions. Make sure that you’re in a secure, quiet place. Make an announcement and put a sign on the door to let your family or roommates know you are not to bothered during that time. Don’t sound sleepy. Wake up an hour before your interview. People can tell if you just woke up and it sounds unprofessional. Call a friend and talk for a few minutes to get your voice ready. Be succinct. It’s hard to pick up on non-verbal cues in these situations. Don’t babble and stop yourself when you’ve answered the question completely. 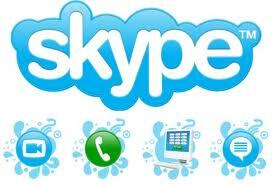 For more tips and information check out Levin-Epstein’s articles on skype tips and phone tips. “Anxiety and jitters come from not knowing what is going to happen — basically, fear of the unknown,” said Katherine Walker, Founder and Executive Director of Lifetime Behavioral Health, to CareerBliss. Deep breathing is a known stress reliever for nearly any rough situation. Walker says you need about 10 slow, deep breathes to calm your nerves. Breathe in through the nose and fill your longs, then breathe out through your mouth to release jitters. Try a progressive muscle relaxation, says Walker. Tense your entire body and then relax each part one by one, starting with your toes and moving all the way to the top of your head. Your focus will be on relaxation, not your nerves. This one’s my favorite — visualizing success in any challenge you face, even a job interview, can help you believe in yourself. If you don’t think you can get the job, you probably won’t. 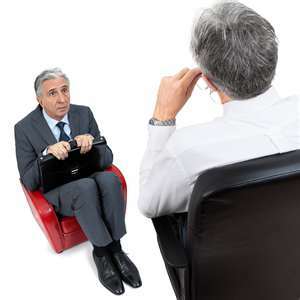 Visualize yourself blowing your interview out of the water and sitting at that desk as the new hire. Confidence is key. Smiling signals happiness to your body — even during times of stress. Calm yourself and simply smile to lift your spirits and ease your nerves. Even if you’re not really happy, a smile can help you feel like the next best thing. Most of us rely on coffee to keep us awake during the day, myself included. But when it comes to pre-interview nerves, coffee is best avoided. A cup of java will actually make you jittery because of the caffeine. Instead, chew a piece of gum to help make you more alert (just remember to spit it out before your interview). Bad Answer: My boss is a jerk and the customers are hard to deal with. 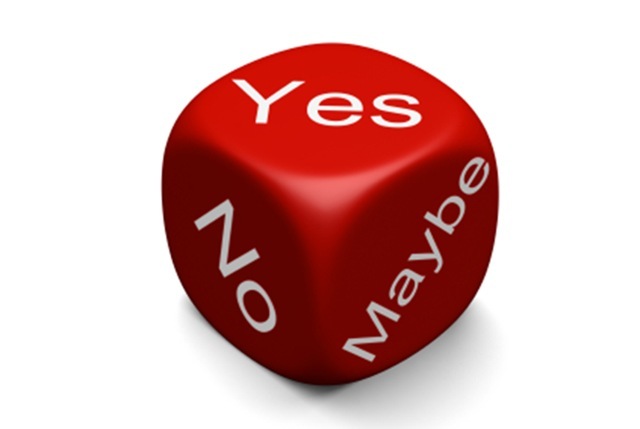 Tip: Keep the answer positive, in terms of where you want to go, not what you want to get away from. Better Answer: I have been promoted as far as I can go with my current employer. I’m looking for a new challenge that will give me the opportunity to use my skills to help my employer’s business grow. Bad Answer: I’m desperate and no one else will hire me. Tip: Before the interview, visit the employer’s website to learn as much as you can about the company. When answering this question, focus on one or two flattering items to explain why you want to join this particular company. 3. Why have you had so many jobs? Bad Answers: I get bored easily. Tip: Give acceptable reasons (frequent moves, changes in personal goals, etc. ), but focus on the fact that you’re ready for a permanent position now, which is what they are really concerned about. Better Answer: When I was younger, I decided to sample a wide variety of careers. That way, when I was ready to choose a career path I would be absolutely certain that I had found the right one for the long-term future. Now I’ve settled on this industry, and that’s why I’m here today. Better Answer: When I read the mission statement on your website about giving back to the community, I felt really inspired. I was also impressed with the facts about your growth in the past three years three new locations, and a 40% sales increase. 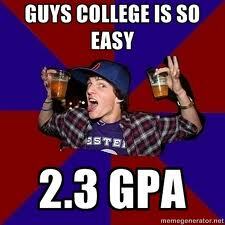 That’s really something to be proud of. I think it would be rewarding to be a part of a company that is such a leader in their industry and in the community. Bad Answer: I can burp on demand and keep a straight face when telling a lie. Tip: Discuss three or four of your strengths as they relate to the position you are interviewing for, and give examples of times they have helped you do your work. Bad Answer: I need the money to pay off my gambling debts. Tip: This is your chance to reiterate your skills and relate them to the position you are applying for. 6. What are your short-term and long-term goals? Bad Answer: Considering how hung-over I am, my short-term goal is to make it through this interview. Long-term, I hope to quit my job within a couple of years and become a ski bum. Tip: Sometimes employers ask this because they want to know whether you are looking at their company for long-term employment or simply a short-term job until something “better” comes along. Other employers want to judge your ability to plan for the future. Most employers do not want to hear that in five years you hope to be retired or plan to start your own business. Your short-term goals should involve getting hired into the right position; long term is where you want to go in your profession. Better Answer: Short-term, I’d like to find a position where I can build a solid clientele of return clients. I enjoy building relationships with clients who come back year after year for service and advice. Long-term, I can see myself taking some additional training over the next few years, and applying for a more senior position here once I have the right combination of experience and education. 4. What do you think it will take to be successful in this role? The interviewer wants to know what you will be bringing to the role. What skills, abilities or experience can you bring to benefit the organisation? Your response needs to consider and answer what the employer expects of you in this role. Relate past roles and the accomplishments and success you had. After answering this question you want the employer to know that by hiring you, productivity will improve, problems will be solved and that you can create value in the role. 5. Tell me about how you work as part of a team? All employers want to know how you will work as part of a team. Any role in an organisation involves working with other people and you need to be a team player. Yes it is important that you can work on your own and that you are a self starter but at the end of the day you are part of a team. If you have worked in a team environment before describe how it worked and how your skills and abilities contributed to its success. If you are a leader then demonstrate with examples from your previous roles, if you are not then emphasise how well you work in a team. Organisations need both types of people and honesty will bring you credibility. A question was posted on LinkedIn recently asking hiring managers what their pet peeves were when it comes to interviewing job candidates. Over and over again, respondents indicated that their pet peeve is candidates who come to the interview and don’t know anything about the company. Jobseekers, there is no excuse. When you go into the interview, you should know the company’s products, its mission, its history, its industry, its competitors, its strategic goals, and any big projects/products/announcements that have made it in the news. Start with the company’s website. Look for an “About Us“, “News & Press“, “Our Team” sections. Look for an “Our Services” or“Our Clients” section. Basically, read everything you possibly can on the company website. Look at what the company says about itself on LinkedIn. Don’t forget to check out new hire listings. Go back to the team list you found in step one. Now search each of these names in LinkedIn. How long have they been in the position? Where were they before that? Do they mention any projects they’ve been involved in? What groups do they belong to? Have they asked or answered any questions in LinkedIn Q&A? Have they contributed to any group discussions? Do they have a blog? Google the company name and click through to some of the links. This is a scavenger hunt, of sorts. You won’t know what’s good until you find it. Skip through to the third, fifth, seventh and tenth pages. Look for articles that mention the company in terms of industry trends and developments, new products, customer service experiences. If you have more time, read more articles. Go back to the google search page, and toggle on the NEWS tab. Search the company again. Look for press releases, industry analyses, financial analyst reports, controversies, praise, mentions by journalists. Often you’ll find more illuminating information from the financial and industry analysts who talk about an annual report than you will from the report itself. Reset the time parameters, and look for news articles about the company from a year ago, two years ago, five years ago. Search the company name together with “merger” or “acquisition”. Has the company acquired other companies or been acquired? Is there any news about how smoothly (or not so smoothly) this went? Search the company name together with the title of your target position. You may be able to find out who the incumbent was before you, some of the projects they were involved in, any PR (negative or positive) that they attracted. Do it again, using the title of the person you will be reporting to. Is your soon-to-be-supervisor new in the position, or was there somebody in the position before him/her? How recent was the change? This search should be done both in Google and in LinkedIn. Search the company name together with the word “convention”, or “trade show”, or “conference”. Look for any presentations, keynote speeches, whitepapers. At a minimum, you will learn which industry associations and events the hiring company deems valuable. Search the company name together with keywords from the job description. Use one keyword at a time: Research. Marketing. Project Manager. ISP. This is a great way to find clues to the goals and challenges that you will be facing that are specific to your target position. Search the company name together with the word “case study”. IT companies love to create case studies of their success stories. Check out what problems these vendors helped your target company to solve. Match this information against press releases announcing a different vendor for the same solution, which is often a clue that a mega-project went bust. Use http://www.wefollow.com to search for the company and any of its employees on twitter. Check out their twitter streams. What are they talking about? What are they excited about? Google “who are COMPANY’s main competitors“. Look for entries from sites such www.finance.yahoo.com, wikinvest.com, www.hoover.com, and www.corporatewatch.com. Use www.glassdoor.com to research the company culture. What is the company’s product/service and target clientele? Where does the company say it is heading in the next five years? What are its goals, values, mission? Has there been any events recently that confirm or contradict those values, mission, goals? Who are its main competitors? How does the company stack up against these competitors? Has there been a lot of staffing changes recently? Is this because the company is growing, or is it an indication of potential trouble? What are the company’s main challenges? Pain points? Risk exposures? What are the company’s main competitive advantages? If you want to position yourself as the solution to their problem, think like a marketer. Do your market research. Understand who the company is, what its challenges and pain points are, where they are going, and how you can contribute. 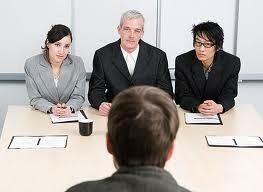 Then, be ready to demonstrate your insights in your interview.